Are you suffering from dry hair caused by bleach, dyes, flatirons, blow dryers, and so forth? 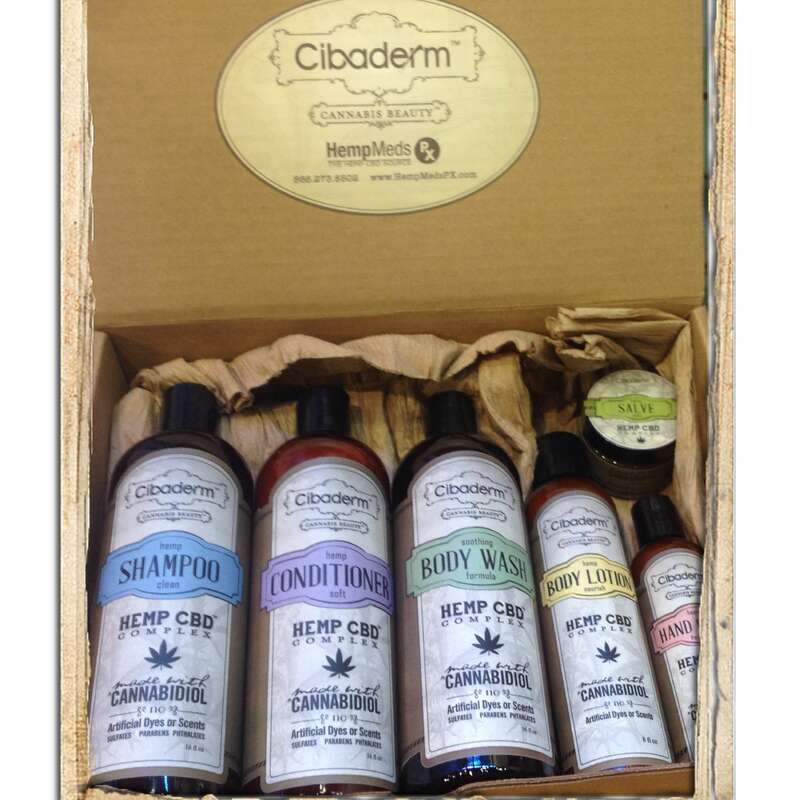 No worries, even the driest hair can benefit from some good loving. Here are the top best conditioners for dry hair. Many of our top contenders use keratin as a primary ingredient. Keratin is a protein that acts as the primary structural component in hair. By using keratin in conditioners, it is believed that dry, flat hair, can be rebuilt and repaired much quicker by delivering the protein directly to the hair. Each of the It’s a 10 products is designed to do 10 different things. This particular conditioner moisturizes, penetrates the hair shaft, deposits proteins, detangles, adds strength, protects hair color, prevents breakage, gives shine, and protects from sun damage. That’s a lot to claim, but the conditioner backs it up—that’s why it’s widely considered the best conditioner for dry hair. I first came across this conditioner years ago when my hairdresser insisted I use it after he brought my hair from dark brown to blonde. He was adamant that it was the best conditioner for dry hair, and it just might be. 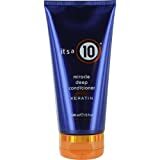 It’s exceptional for helping to restore hair back to a healthy state after it has undergone a severe bleaching process. Be aware though, that it is possible to over-protein your hair. If your hair is dry for reasons other than bleaching, use this with caution. Depositing too many proteins can actually cause hair to become more brittle. Overall, if you suffer from intense dryness, give this conditioner a shot. If your hair is dry from dying it, not necessarily bleaching, then this is probably one of the best conditioners for you. With its “AntiFadeComplex,” it does an excellent job of protecting your hair color while it also provides the moisture you need. 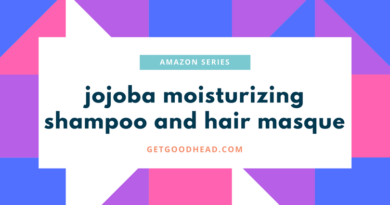 It’s known for its refreshing, tingling sensation that it gives your scalp while you use it. This conditioner is one of more expensive on our list. However, this may be the best one out there. Users rarely rate this below a 4 out of a 5. The scent is fresh mint, leaving your scalp feeling hydrated and fresh. Pureology Condition has also been reported to get rid of frizz. 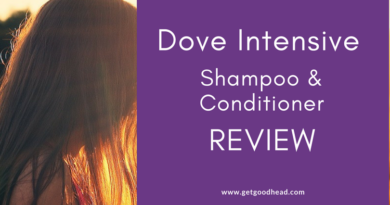 As for most conditioners, it is best used after a deep shampoo. For animal lovers, it’s also 100% vegan. This product is renowned for its excellent smell and ingredients like keratin, fatty acids, and argan oil. Declared the “liquid gold” of hair care for both it’s golden hue and it’s hydrating properties, argan oil has become one of the new essential ingredients in the best conditioners for dry hair. Argan oil comes from the seeds of the argan tree, which are native to Morocco. With this ingredient, Moroccan Oil Conditioner has a sure formula for added hair hydration. As you might guess from the title, this conditioner helps to restore dry and damaged hair by infusing keratin into strands that have lost some of their vital proteins. It works great for making hair feel soft. It will also smooth the cuticles of the hair shaft to provide more shine. 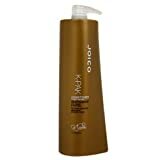 By adding softness, shine and improving the overall texture, this conditioner also makes styling your hair much easier! You’ll save time by getting that “salon look” in half the time. The only downside is its fragrance, which many people claim to be bothered by. Available almost everywhere you can buy hair products, this Neutrogena conditioner is great for adding some hydration to hair that has become a little dry due to over-styling. It’s incredibly affordable and delivers fantastic results—both reasons why many women and men claim it’s the best conditioner for dry hair. While all of these conditioners can be used by both men and women, Triple Moisture Daily Deep Conditioner by Neutrogena is the only one that promotes itself as unisex. For couples going on a beach trip where their hair will be exposed to sun and saltwater, grab a bottle of this before you depart! This conditioner is one of the more affordable options. It does a great job of marrying natural ingredients, like sunflower seed oil and rosemary extract, with ingredients provided by modern advances. Plus it comes in an adorable jar (not that that matters!) After just one use, your hair feels super silky, and delivers the moisture it promises. Users also rave about this product and the high majority become repeat buyers. Even those who take the risk of trying a new conditioner come running back to this one. It is a winner, for sure! Good luck checking these out! One just might become your best conditioner for dry hair. For other conditioners great for dry hair, click here! What about conditioner of Pro Naturals?